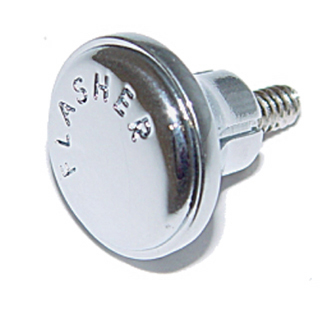 High quality reproduction of the Emergency flasher knob. This knob is manufactured in zinc die-cast material and chrome plated just like the original. Features "FLASHER" lettering on the face of the knob. Includes the wording "Flasher" in the correct font.